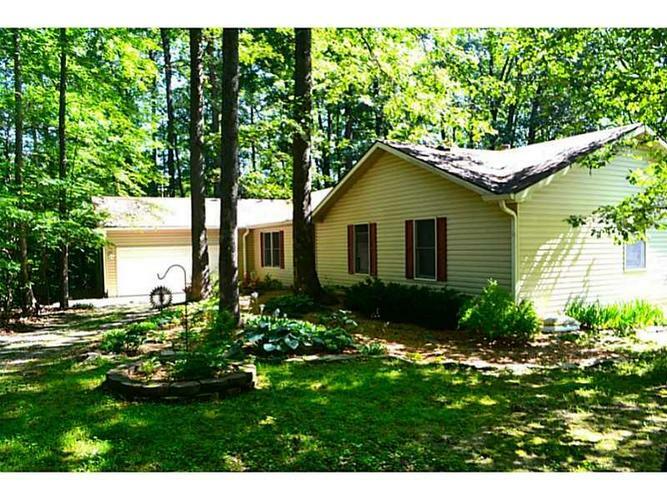 Completely private 4 bdrm, 3 bath ranch home sitting on 5+ acres including your own private pond! Feel like you are on vacation every day while relaxing in the sun room & enjoying mother nature! Invite all of your friends and family to grill out in the fenced in back yard! Bring the kids & pets too! Read the paper in your gazebo & enjoy the summer breeze. Huge master bdrm with his & hers closets & master bath. Second master with wlk in clst and full bath. Large kitchen,tons of space, a must see! Directions:Take IN 39 N, turn left on to Shelton Rd then take slight right onto Wilbur Rd. Turn right onto Mohawk Trail, home is on the right.